I teach at SPINCO because after attending my first class I fell in love. The positive vibes in the studio are unreal and every time I walk through those doors my day get 110% better! I love feeling like I am part of a family here at SPINCO. 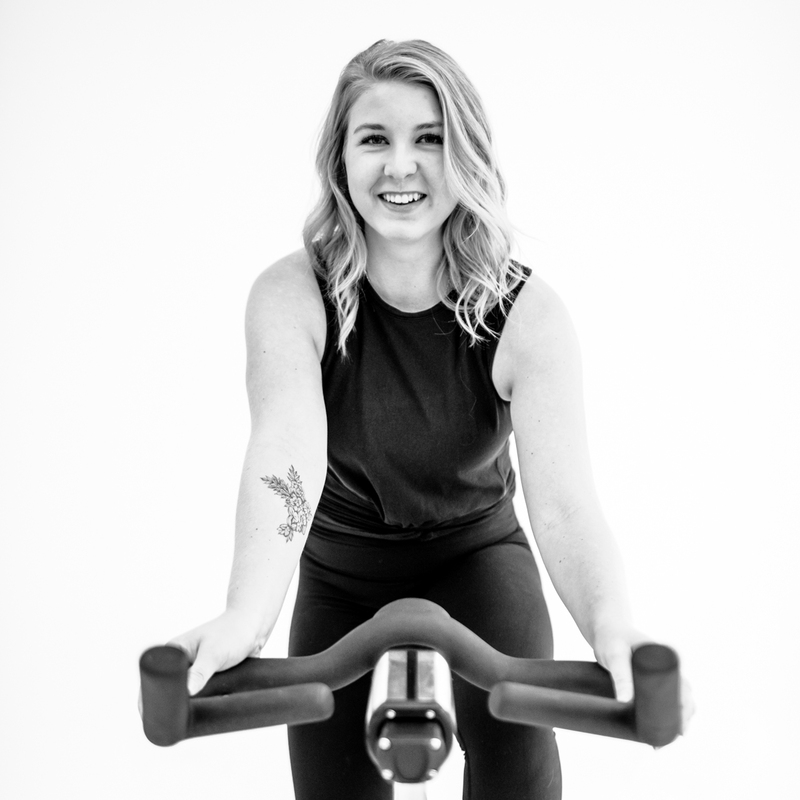 Having a fitness experience this unique here in Kelowna is amazing and I am so happy to be a part of it! The amazing feeling after you finish a great ride. For me nothing beats the feeling of hard work and accomplishment that comes at the end of each class. Being able to motivate people to push past those limits they thought they couldn’t overcome is something I look forward to doing! Not only do I want to inspire SPINCO riders, but I love to ride alongside with them. I have come to crave the intensity of being in a full class, all pushing and working together right to the end as a team. And that’s what SPINCO is all about, teamwork! I want my riders to feel proud after class and to feel the need to push themselves a little extra each time they ride! I want to motivate people to try to work harder and get stronger each time they come to SPINCO, whether it be in my class or someone else’s. I want my riders to feel empowered and just full of happiness each and every time they get on that bike! Most importantly I want all SPINCO riders to fully enjoy and take in the experience SPINCO provides. Life is bigger than any one experience. There are no wrong paths, and no such thing as failure. Failure is just that thing trying to move us in the right direction. Sweating at 9 Round Kickboxing and New Wave Fitness! Or cozy at Bean Scene getting some studying done.